After reading the recent article from the New York Times (attached in full post), you begin to realize Millions of Twitter followers, although initially impressive, may just be window dressing to a successful Twitter strategy. True influence on Twitter is not calculated by simply how many followers one has, but rather how active followers are with tweets. Are followers retweeting? Do you they respond and interact with your content? Are they clicking on your links and visiting your website? These are the kind of metrics that actually give you a powerful voice on Twitter. Check out the article from DAVID LEONHARDT of the New York Times in the full post learn more about how to effectively measure success on Twitter. You may be surprised what you find! 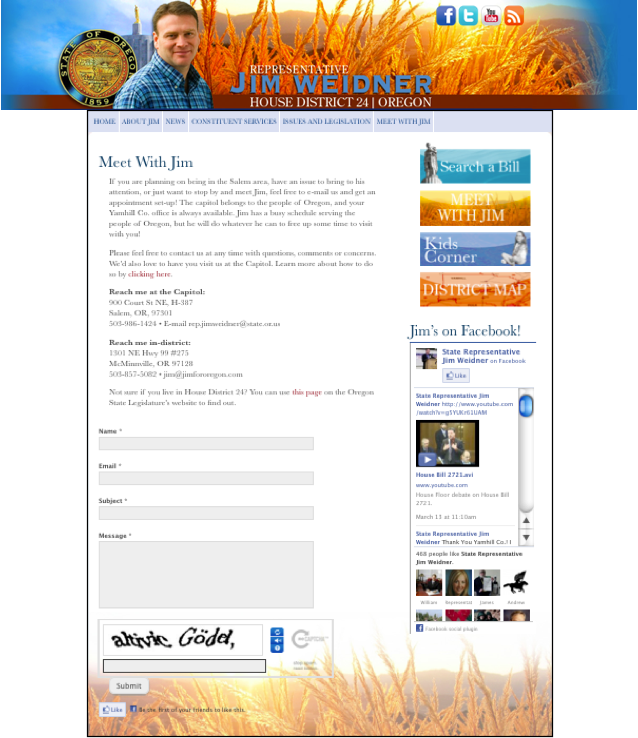 Common Ground is proud to announce the launch of new official websites for Representative Sal Esquivel (HD-6, Medford) and Representative Jim Weidner (HD-24, McMinnville). 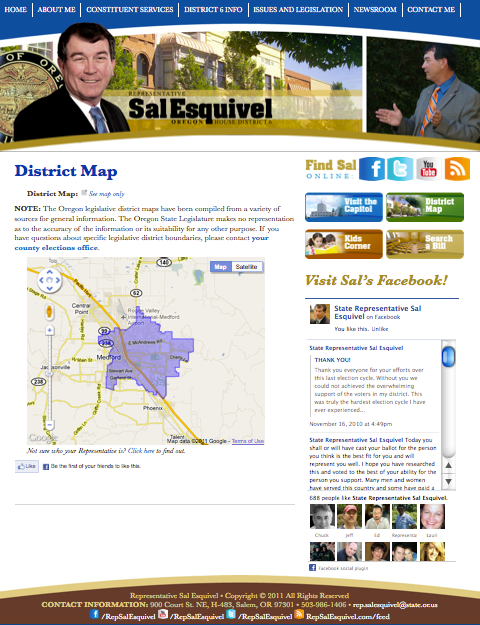 Representative Esquivel and Weidner’s new interactive web platforms possess an array of modern features that will empower them to better communicate and interact with their constituents. As an elected official, it’s crucial to have the tools in place to be able to quickly and effectively listen to your constituency. As hot-button issues arise, having the ability to take the pulse of the citizens you represent in a minutes notice can greatly enhance your understanding of your constituency. In the digital age, such a tool is found in Common Ground’s online survey tools where individuals can put in their two cents on hot issues and current legislation in a matter of seconds with a click of button. Rep. Kevin Cameron of HD-19 in South Salem recently used an online survey to collect input and feedback about a proposed bill in the Oregon state legislature that would ban plastic bags in Oregon grocery stores and require a 5 cent deposit on paper bags. After Cameron saw the bill over the news and his office received several calls about the bag issue, he decided to advertise and cross-pollinated his two question survey on the proposed legislation across all of his digital communication platforms such as his Facebook page, Twitter, E-newsletter, and Official Website. 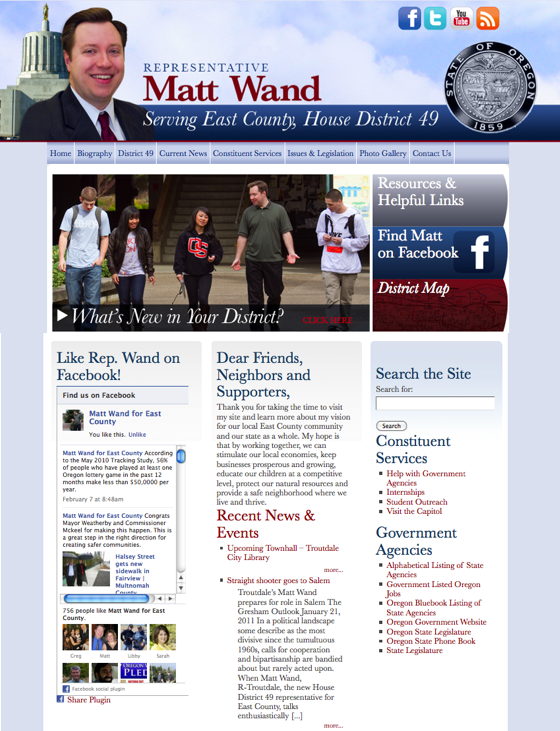 Our team here at Common Ground is proud to announce the launch of a new official website for Representative Matt Wand (HD-49, Troutdale). Wand’s new interactive web platform (pictured below) will enable his office to better educate, engage and interact with his constituents through innovative features like constituent sign up forms, surveys, event page, enewsletters, and social media integration. 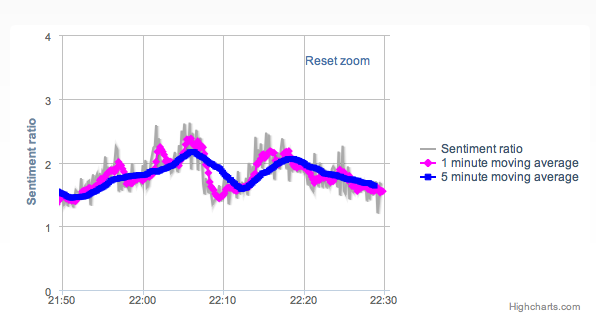 I stumbled across this very interesting article on how Twitter can be used to track public sentiments in real-time on the New Media Strategies blog. The following post by NMS Senior Online Analyst Mark LeMunyon analyzes Twitter discussion during last week’s State of the Union Address to gauge sentiment and reactions to the speech. Read more about his findings from his post below.